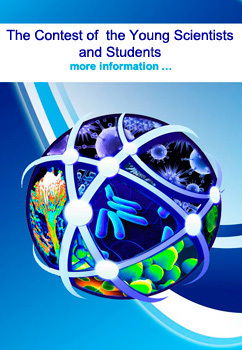 Young scientists under 35 years old and students can participate in the Contest. They should apply online in the course of the registration. An applicant should present a poster using the registration site. . The authors of accepted posters will present their posters at the Congress. One author can present only one poster. Coauthors will not participate in the Contest and should be listed separately in the poster title. According to the guidelines, all posters should be sent to the Organizing Committee as a pdf document. The Organizing Committee will print them for the Contest poster session presentation. Author/co-authors should personally present their poster at Contest poster session. portrait orientation (840х530 mm); margins: 40 mm from each side; background of the poster – light; the color of the text – dark; Figures and graphs should be in color. Format: file Microsoft PowerPoint; file name: «Poster_session_Surname of the first author_City_Country». poster number (the block in the top left corner): will be assigned by the Organizing Committee; information about the individual poster number will be sent to each participant by e-mail. You can use the poster matrix attached.